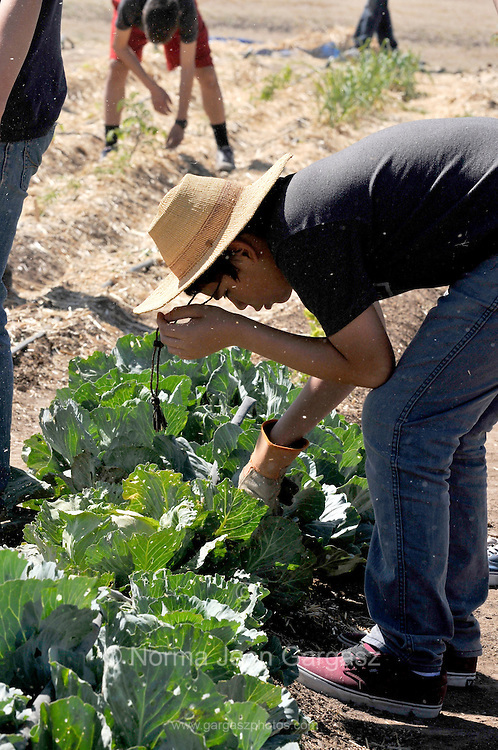 Participants from City High School and the Community Food Bank of Southern Arizona gather to work in the fields that produce food for needy families in a Chávez Day of Service at Las Milpitas de Cottonwood Community Farm in Tucson, Arizona, USA. Earlier this month the city council approved Chávez' birthday as an official paid holiday. The holiday goes into effect next year. Chavez fought for rights for farm workers and co-founded the United Farm Workers Association, which later became the United Farm Workers.